MOBILE, AL – When Arkeem and Tibias were growing up, their brotherly love was always a special bond between them. At nearly four years younger, Tibias was the “baby” of the family and would often rely on his bigger brother for help on anything and everything. To his credit, Arkeem was a fond older brother who went out of his way to take care of Tibias. And today, as they tour the country under their stage name Pine Grove Boys, not much has changed. The hip-hop duo from Mobile, Alabama has a distinct sound that blends their southern drawl with upbeat, inspiring lyrics. And though Tibias – AKA Ay Bias – still laughingly refers to himself as the “crybaby” of the relationship, he also still looks up to his big brother and knows how incredible of an opportunity it is to get to make music with Arkeem – AKA Keemy. Perhaps the best example of that is their most recent single “Rock Wit Me,” which continues to receive increasing amounts of radio play all across the country and has garnered the duo a Hip-Hop Song of the Month award in California. According to Keemy, the song has a hip-hop and pop fusion feel that’s mixed with EDM. Keemy said all of their music is up-tempo and uplifting. 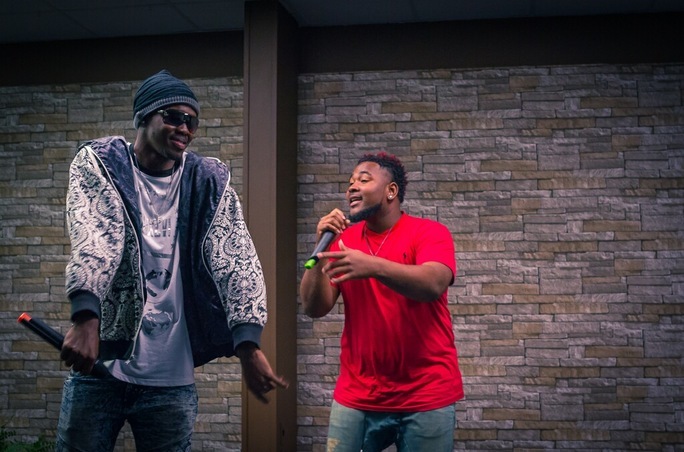 Coming from a family who spent every Sunday in church and through which they were introduced to music via the choir, both Keemy and Bias feel strongly about creating music that breaks away from the negativity that flows through a lot of today’s hip-hop music. “We want kids as little as five years old to be able to listen to our music and have fun with it,” Keemy said. Fans who want to check out some of the music from PGB can visit their Soundcloud page, or follow them on Twitter, Instagram and Facebook for updates about new releases or live performances.